Have you found yourself in an abusive situation at work, home or with your family? This group focuses on identifying ways others are manipulating you or abusing you and giving you the tools to stay sane. From this group, you can expect to learn types of manipulation tactics, ways to identify if you are being manipulated, boundary setting techniques, assertiveness skills and tactics to use to keep yourself safe and protected. This group meets every other week and has a workbook that goes along with the group (workbook cost is $17.95). You will be provided the book on your first group visit. 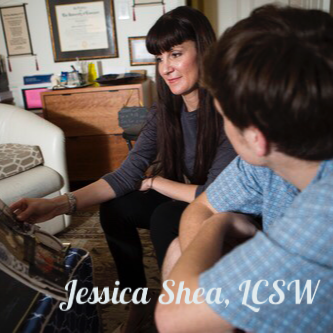 Jessica approaches counseling and consulting from a values-based perspective, guiding her clients to investigate and solidify their core values and work toward rebuilding their lives, or their company, around these beliefs so they can experience flow. Jessica has over 10 years experience in counseling, marketing, small business startups and non-profit launches. She has been a business owner and entrepreneur for 20 years and has also served on numerous non-profit boards across Memphis. She has helped people overcome severe childhood trauma, overcome depression and harness the energy of anxiety or anger. She has helped some of those same people go on to launch profitable and fulfilling startups.